When it comes to networking technology, we won’t miss Ethernet switches. Because it is an essential part of networking communication. Connecting devices, such as computers, routers, and servers, together on a network, it enables current to be turned on and off and selects a channel for data transmission. Then you may ask, what is the switch definition in networking? What are the types of switches in networking? How to choose a switch for my network? Now, this passage will give you the answers and suggestions. There is one question that confuses many people: what is a switch in networking? A switch, in the switch definition of networking, is a high-speed network equipment used to connect devices together on a network and enable the data transmission between different devices. It receives incoming data packets and redirects them to their destination on a local area network (LAN). In a local area network (LAN) using Ethernet, a network switch determines where to send each incoming message frame according to the physical device address. This kind of address is also known as the Media Access Control address or MAC address. If a switch needs to forward a frame to a MAC address that is unknown by the switch, then the frame is flooded to all ports in the switching domain. Generally speaking, a data switch can create an electronic tunnel between the source and the destination ports that no other traffic can enter for a short time. The Ethernet switch is an essential part of any network. Generally speaking, the Ethernet switch can be classified into two categories: the modular switch and the fixed switch. The modular switch has expansion ability and high flexibility. Modular switch makes it possible for you to add expansion modules as needed into the switches. It is much more complex than fixed switch, so it costs more than fixed switch. The fixed switch isn’t expandable and has a fixed number of ports. Although it has less flexibility, it offers a lower entry cost. There are mainly three types of fixed switches in networking. They are the unmanaged switch, the smart switch, and the managed switch. The unmanaged switch is often used in home networks, small business offices or shops. It can’t be managed, so we can’t enable or disable interfaces of it. Although it doesn’t provide security features, it can offer enough support if you use it in a small network of fewer than 5-10 computers. The smart switch is mainly used for business applications such as smaller networks and VoIP. It is suitable for small VLANs, VoIP phones, and labs. Smart switch can let you configure ports and set up virtual networks, but doesn’t have the ability to allow troubleshooting, monitoring, remote-accessing to manage network issues. The managed switch is widely used in data centers and enterprise networks. It provides control, high-levels of network security, and management. It’s ideal for remote-access control capabilities and off-site round-the-clock monitoring. 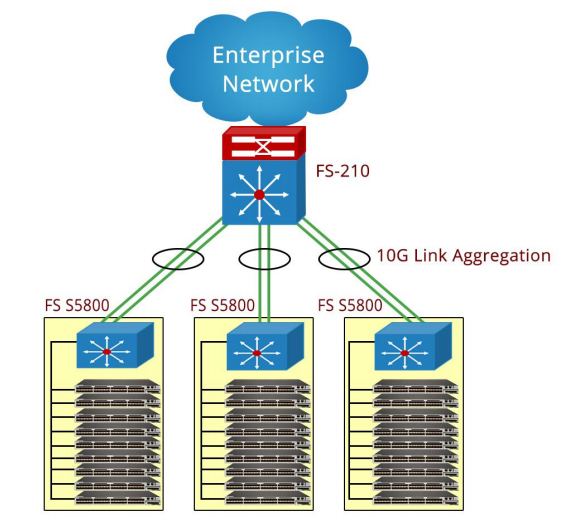 The managed switches can improve a network’s resource utilization and speed. Although it costs the most, it worth the investment for a long run. 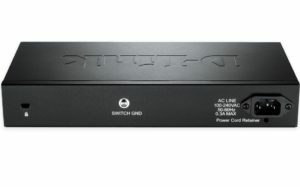 How to Choose a Switch For Your Network? When you choose a switch for your network, you need to consider several factors at the same time. These factors include the number of ports, transmission speed, and stackable vs standalone. Most of the switches on the market have 4 to 48ports. You need to consider the number of ports you’ll need according to the number of users and devices and devices your network supports. The larger your organization is, the more ports you’ll need. Considering the possible expansion of your network and the possible increase of your user amount, you need to prepare extra ports for a long term plan. There are various switches with different speed, such as Gigabit Ethernet switch and 10GbE switch used at the edge of the network, as well as 40GbE switch and 100GbE switch used in the network core layers. When you determine the speed, the key factor to consider is the need of your network users and future growth. Such as how large are the volumes of the transferring data and whether do you require faster link. 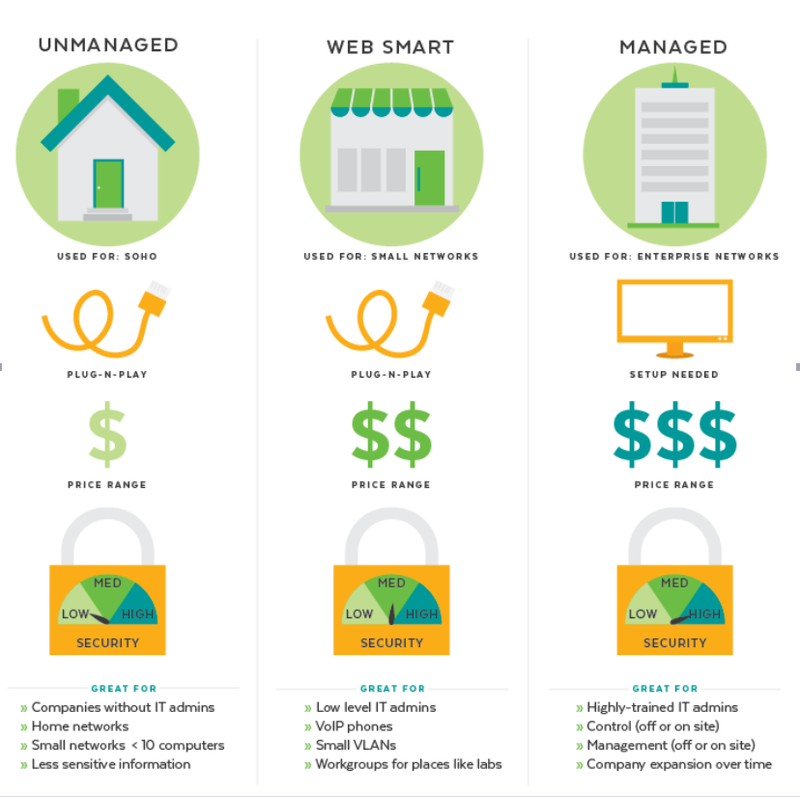 Will your network grow larger? If your answer is yes, then you may choose a stackable switch. Standalone switches need to be configured individually, and troubleshooting also needs to be handled on an individual basis. While stackable switches allow for multiple switches to be configured as one entity. With this advantage, you can save time and energy when you manage on the stackable switches. Here I want to recommend you FS.COM S3800 switches, which are stackable switches. The following video is a tutorial about how to stack switches using S3800 switches. In the above passage, we’ve explained how people define switch in networking and analyze the types of switches. Besides, this article offers some suggestions about how to choose a switch for your network. I believe that you have got a general idea about switch definition in networking. If you need a little more help and advice with switch definition in networking, then please do not hesitate to let us know. For purchasing high-quality switch with low cost or for more products’ information, please contact us at sales@fs.com. For the issue of choosing an optimal Ethernet switch, one usually refers to its demand for network capacity (1G, 10G, 40G or 100G) and port quantity. 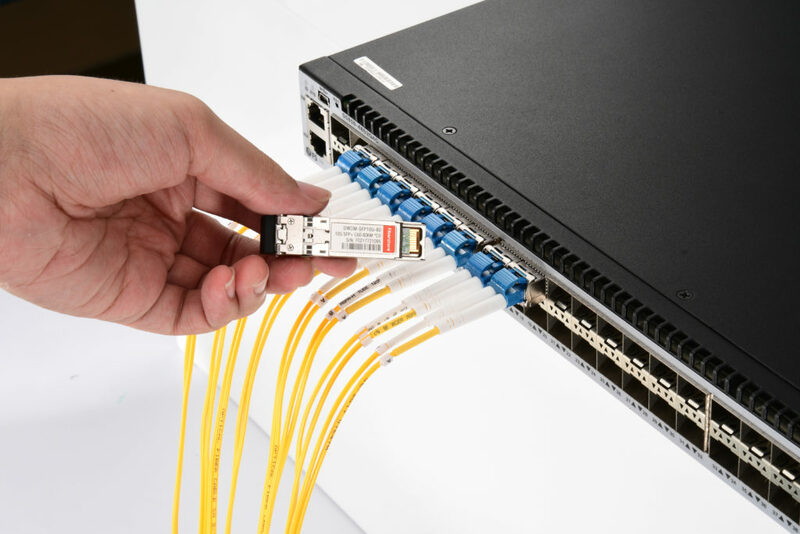 As for gigabit switch, a 16, 24 or 48 port switch is commonly used for small and medium sized enterprises (SMEs) to achieve both high performance and cost-efficiency. But how about 8 port gigabit switch? Are there any recommendations for it? This article will recommend 4 different 8 port gigabit switches for you in terms of managed or unmanaged and PoE or non-PoE. DGS-1210-10 comes with 8 x 10/100/1000 Mbps gigabit ports and 2 x SFP ports. It is the latest generation of D-Link gigabit web smart non-PoE switch, characterized by D-Link Green 3.0 technology to save energy under non performance sacrifice. Moreover, for concerns of management and security, DGS-1210-10 8 port gigabit switch centralizes the pros of easy management, D-view 6.0 system and auto monitor VLAN (ASV) capability. This partly managed smart switch takes one step above “dumb” switch as well one step behind fully managed switch, thus it has absorbed both strengths. As a compromised gigabit switch, it is specially designed for SMEs. 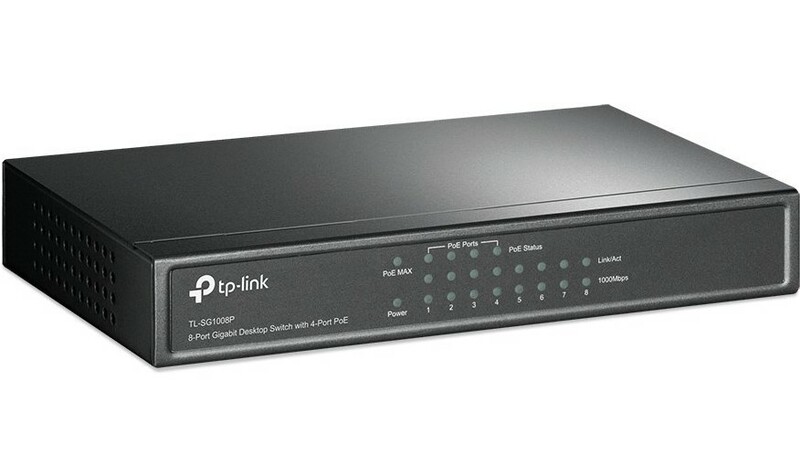 Figure 1: D-Link DGS-1210-10 managed 8 port gigabit switch. FS S1130-8T2F PoE+ managed 8 port gigabit switch comes with 8 x 10/100/1000 MbpsBase-T RJ45 Ethernet ports, 1 x console port and 2 x SFP ports. This fully managed PoE+ switch features long transmission distance of up to 120km, strong resistance to electromagnetic interference and superior performance stability. Besides, for concerns of noise, it is whisper-quite designed with no fans. It can easily placed in a rack, on a wall or on desktop, and is best fit for PDs such as WAP, IP phones and weather-proof IP cameras. FS S1130-8T2F has a maximum power consumption of 130W. If higher power budget is in demand, you can go for FS S1250-8T2F 8 port gigabit switch, which is up to 250W for your network expansion while only $30 extra cost is offed by FS.COM. Netgear GS108 is an auto-switching 10/100/1000 Mbps Ethernet switch, targeted at business with plug-and-play and no-configuration demand. Netgear GS108 comes with 8 switched ports for PCs, severs and switches and a sturdy metal enclosure, with IEEE802.3az support for power savings and traffic optimization. It is also fanless designed to ensure silent and reliable operation. Though this desktop 8 port gigabit switch costs a little more than Linksys SE3008 ($35.99), the advantage of ProSAFE Lifetime Warrenty does makes it worth that. Figure 2: Netgear GS108 unmanaged 8 port gigabit switch. TL-SG 1008P unmanaged PoE 8 port gigabit switch comes with 8 x 10/100/1000 Mbps RJ45 ports and 4 PoE ports with maximum power budget of 55W. It is featured with no configuration need, overload arrangement, fanless design, high efficiency and limited lifetime warranty. The 4 PoE ports can supply powered devices (PD) such as wireless access points (WAP), IP cameras and IP phones with one single cable for both power and data transmission. It is best fit for expanding home and office network. 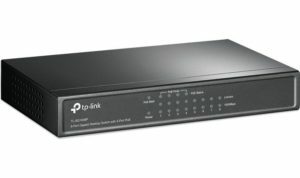 Figure 3: TL-SG 1008P unmanaged 8 port gigabit PoE switch. This article focused on the recommendation of 8 port gigabit switch for different requirements: unmanaged non-PoE switch, unmanaged PoE switch, managed non-PoE switch and managed PoE switch. 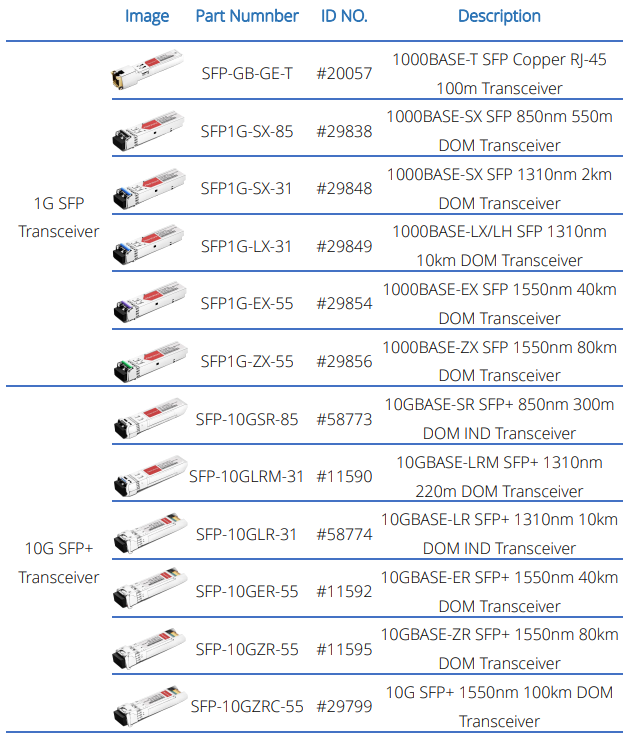 Each one has its features in terms of different switch types and vendor characteristics. For managed PoE 8 port gigabit switch consideration, FS.COM will be a good place to go. Related article: How to Choose 8 Port Gigabit Switch?